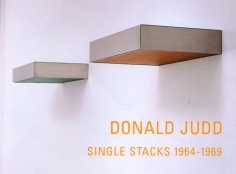 Van de Weghe Fine Art is pleased to announce an exhibition of early works by Donald Judd, so-called “single stacks”. Produced as early as March of 1964, they are among Judd's least understood but most important works. Judd's first fabricated work, in fact, is a hybrid wood and galvanized iron Single Stack dating from 1964. Concise single objects, projecting out 24" from the wall, Single Stacks have a very specific relationship to the floor – the height at which the artist designated them to be hung was originally specified at 62" (a height raised, by the end of the 1960's, to 62 1/4"). These objects both contain and inflect space, and claim a sphere of influence, in ways both related to and completely different from the more familiar (and later) 10-part Stacks. Works in this exhibition range from a rare copper and blue-lacquered galvanized iron piece dating from 1964 – Judd's own instructions that the top of the piece should be exactly “five feet 2 inches” from the floor are handwritten (hand painted, in fact) on the back – to 60's brass, copper, galvanized iron, and stainless steel works, with and without Plexiglas. Two stainless steel and pebbled Plexiglas pieces are as uncompromising and radical as anything anywhere in Judd, with the Plexiglas at the bottom only. Until now, discussion of the importance of all these early works has been largely missing from Judd’s art history, due in part to misconstruing the Single Stack term itself, a convenient but very unhelpful back-construction from Stack. 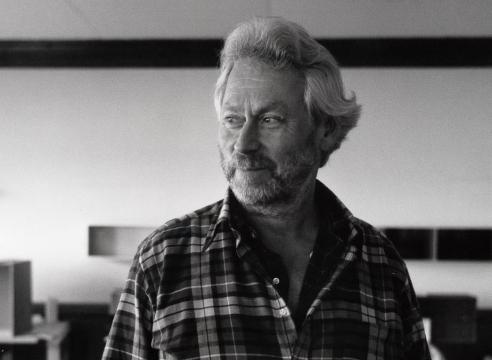 Peter Ballantine, who began working with Judd in 1969, curates this exhibition, the first ever to focus solely on Single Stacks. The gallery also publishes a catalogue documenting the exhibition.